Mary Washington is doing a follow-up story on UMW’s Domain of One’s Own a year-and-a-half later. The occasion provided me an opportunity to start breaking down some of the data we’ve collected thus far. We got the data out of Banner thanks to Jill Ellington, who works in the enterprise systems group. We then imported that spreadsheet of data into the service Intercom—I wrote about it previously here—to help break down and segment the numbers to see how usage by class of student(i.e. Freshman, Sophomore, etc. ), number of faculty/staff, active users, how many courses, number of faculty/staff, etc. Also, we had 10 courses using DoOO in Fall 2013 and 14 in Spring 2014. In fall 2014 we had 23 courses, and 14 in Spring 2015. Another interesting breakdown which reinforces what we learned the first year of the initiative is that juniors and seniors with their own domain outnumber freshman and sophomores two-to-one. Originally we thought we would roll this out to each class as freshman en masse over four years, but almost two years in we’re realizing that students further along with their degree (and settled in a major) are far more likely to have domains. 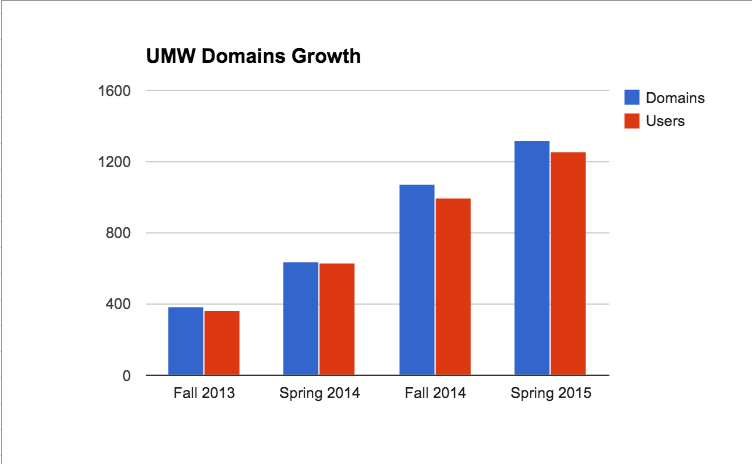 This is reinforced by our decision to integrate UMW Domains into specific courses and departments with certain faculty—although that decision was made because students and faculty were not participating outside a curricular context. One of the things that seems evident to me thinking about Domain of One’s Own at this point in time is curricular integration is king and culture always matters. Thoughtful, well-supported faculty members and enterprising departments that can integrate a broader vision of digital fluency into their courses and programs will continue to drive the value of UMW Domains. Which, in my mind, means faculty development and support remain the gold standards to transforming our campus culture. @audreywatters Targeting it curricularly rather than blanketing entire class (freshman etc.) means it's not a thing, but an approach. This entry was posted in Domain of One's Own, umw domains and tagged domain of one's own, umwdomains. Bookmark the permalink. @audreywatters asked this in Twitter. What are the total number of students/staff so we can get a view of percentage use. I recall that some users are registering multiple domains, what data/thoughts do you have on that? Also what about “dead” sites that get created but not really used. What kind of metrics are you trying to look at in terms of active use of their sites? I have incorporated the tweets into the post as an update. 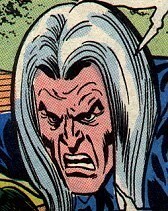 You rule for noting that here! Interesting data! Thanks for sharing. When you say “active domain” how do you define “active”? We define active here for the number of students who have a domain and are still registered, matriculated students at UMW. Now, of the 900+ “active students,” over the last month (since we installed Intercom) 300 have signed into CPanel. Which means at least a third have been active through CPanel over the last month, and we are guessing even more than that given we can’t track if they sign into the applications they installed directly (i.e., through mydomain.com/wop-admin). Does that make sense? Yes, that totally makes sense! Thanks!! Do you think Tim can give us the same data (with regard to last login? Absolutely, let me talk to Tim and see if we can;t start tracking certain analytics like this.